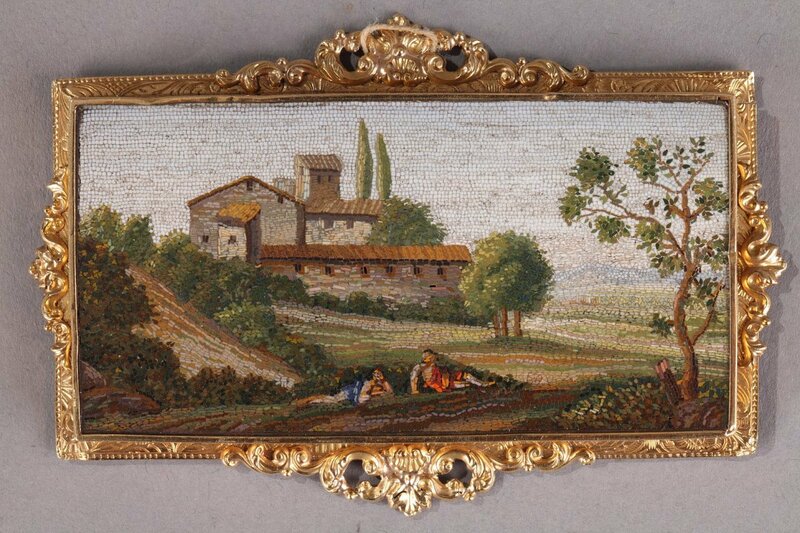 AnticStore > Catalogue > Objects of Vertu > 19th century > Micromosaic Plate with Arcadian landscape, Early 19th Century. Micromosaic Plate with Arcadian landscape, Early 19th Century. 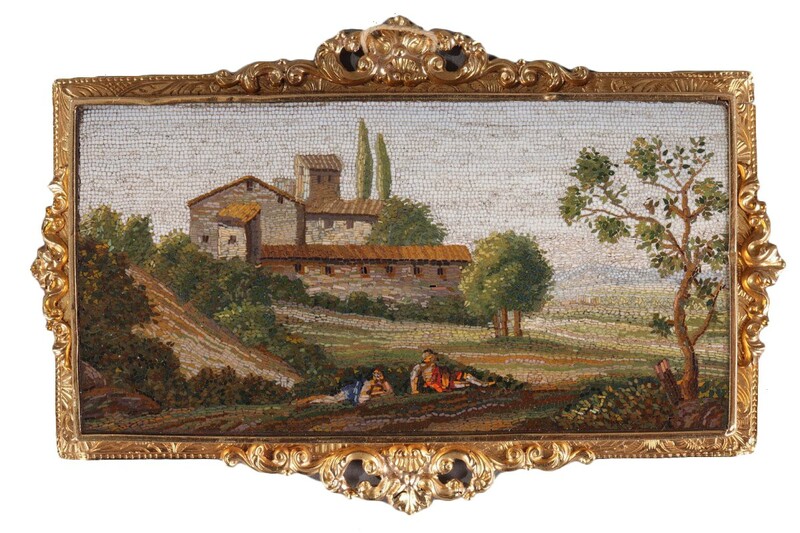 Rare micromosaic plate featuring an idyllic Roman landscape. The central focus of this micromosaic is a grouping of buildings surrounded by trees. 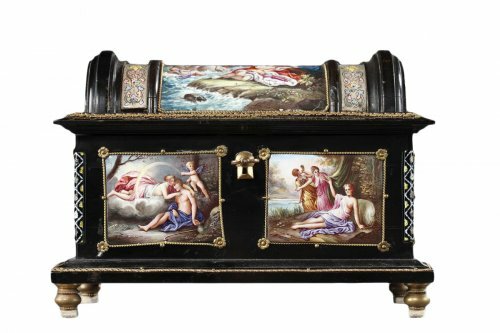 Two people in the foreground ar resting. The landscape, with trees and people in the foreground and a misty background is reminiscent of the Arcadian or Caprician landscapes painted by Claude Lorrain. 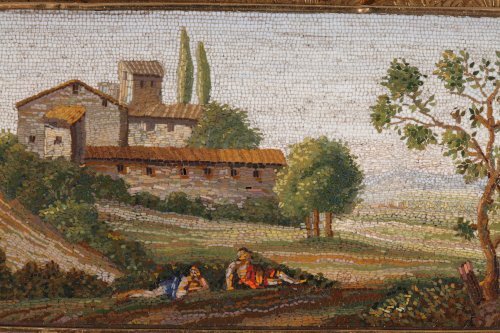 The rectangular shape of the tesselles (small mosaic tiles), especially the background composed of parallel, rectangular tesselles, allows this piece to be dated at the first half of the 19th century. 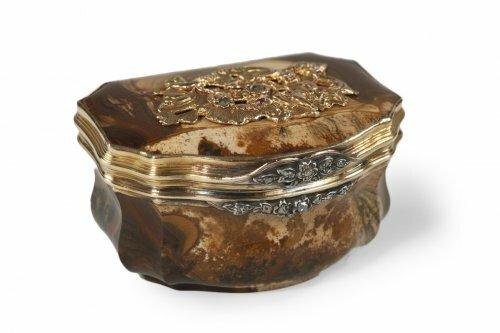 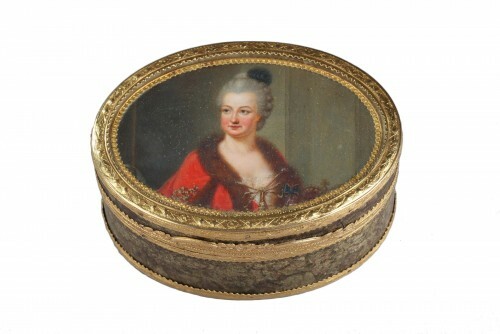 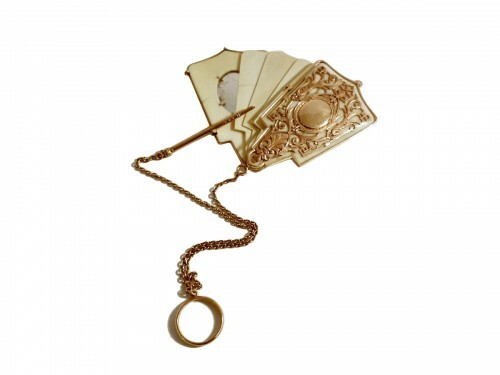 The plate is set in a gilt bronze frame whose reverse side is enclosed with a tortoiseshell plate.